PHILADELPHIA (WPVI) -- If you want to remember Chase Utley's grand return to Philadelphia in baseball card form, now you can, but only for a very limited time. 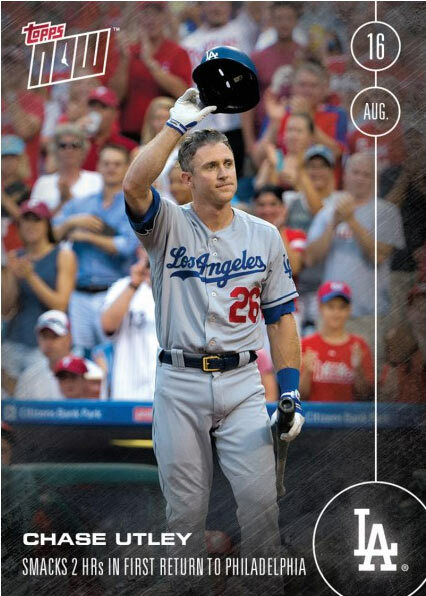 On Wednesday afternoon, Topps released a card featuring Utley giving a curtain call to Phillies fans from Tuesday night's game. The card is part of Topps NOW series - which mean it's only available for 24 hours. As the company explains, "Topps NOW offers trading cards featuring MLB's best moments immediately after they occur. Topps will print and deliver only the amount that is purchased within the allotted 24-hour time frame." "Chase Utley smacks 2 HRs in first return to Philadelphia," the caption on the front reads. 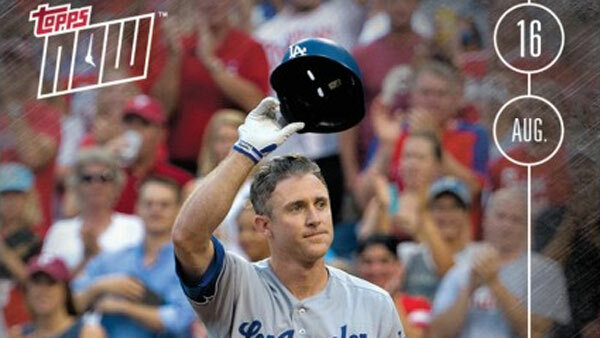 Utley hit a solo home run and then a grand slam in the Dodgers' 15-5 victory over the Phillies. Though the Phillies were on the losing end of the game, Philly fans were still overjoyed to see their former star. 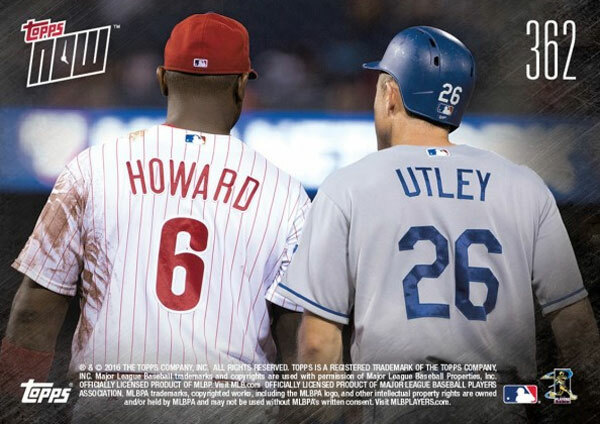 On the back of the card, Utley is joined by a longtime teammate, Phillies first baseman Ryan Howard. The cost of one card is $9.99, five cards for $29.99, 10 cards for $49.99, and 20 cards for $79.99. There is a free shipping option.